From Goodreads.com: A journey to a new life or a prison of despair and death? A shocking murder on Copenhagen's idyllic streets and an abandoned child reveal a perverse criminal underworld that crosses international borders. A young woman's body is found on the street with her throat slit, and the media is clamoring for the grisly details. Detective Louise Rick is investigating the gruesome murder when her friend Camilla Lind calls. Louise assumes it is because Camilla, a crime reporter, wants to be the first to hear of any juicy new developments. Instead, her distraught friend reveals that her ten year-old son found an abandoned baby on his way to school. 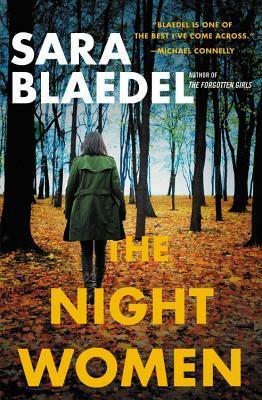 This gripping, heart-wrenching, extraordinary new suspense novel from Sara Blaedel will keep you turning pages as fast as you can straight through to the electrifying finale. Let me begin by saying that although this is listed as book number three, I have not read any of the prior novels in this series - and I had no trouble figuring out who is who. However on the whole I found this story to be tedious, and not exactly my cup of tea. I understand that the majority of police work is tedious, however the few "action" sequences we were given didn't seem to bring the story out of that funk. There were also several instances of bad editing (which seeing as how this is an English TRANSLATION novel may account for that). I enjoyed the characters - strong female leads are always a plus, and I do see why this author has enjoyed international fame. In fact, I have no doubt that she will find a lot of US fans as well. Just, when I look at the ending coupled with the story itself? I feel there is just too many marks that were missed with this one. All things considered, I am sure there are still plenty of people to which this novel will appeal. I'm just starting to think this particular author is not for me.